So it’s World Book Day again (the 20th in fact). Research conducted by the National Literacy Trust has shown that one in four children bought the first book they’ve ever owned with the WBD token issued last year, and for pupils receiving free school meals, the figure is even higher. Which goes to show that the day has a huge impact, particularly on those in deprived areas. This is a phenomenal achievement for promoting reading. 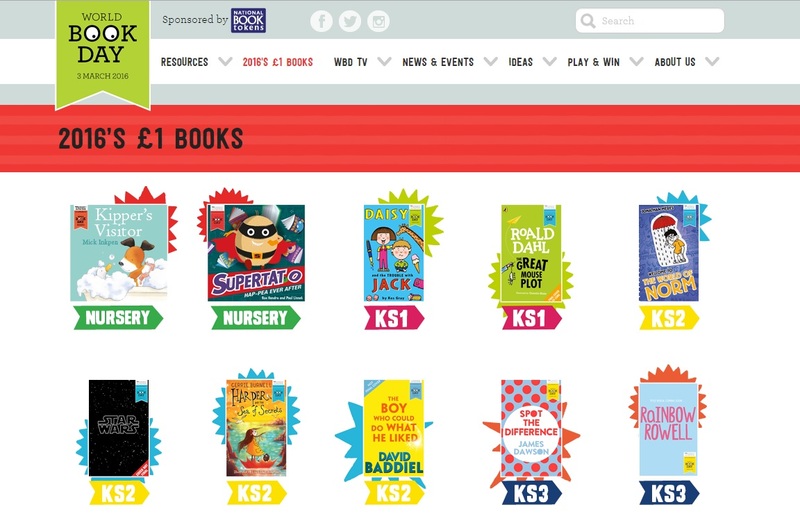 For those who don’t know, WBD distributes £1 book tokens to schools and nurseries countrywide, which can be exchanged for a special WBD book, or used as a £1 voucher towards any other book. So I won’t go on about my views on the costume element (you can read this here), which probably applies more to a different demographic than those above, or the lack of diversity in the WBD choices, which hopefully will be rectified over time, or the downsides of having celebrities and licensed products lead the displays and sales of children’s books (another blog, another time). World Book Day is a positive day. So many of the children’s writers and authors I know are participating in school visits this week, showing children that they too can be writers if they persevere and dream hard enough. So many are inspiring children to discover a new book, or pick up a book for the first time, and see that creating a reading habit will lead them to travel the world through a book and meet the most extraordinary eye-opening characters, learning empathy and heart. In a time when schools’ budgets are being ferociously slashed, with little or no hope of a statutory law insisting on school libraries, and a time in which public libraries are in decline, and independent bookstores with their knowledgeable booksellers are struggling, it is more important than ever that we teach our children that reading is important, despite what they may see around them. Sometimes the most beautiful, captivating, marvellous things are hidden – down a rabbit hole, behind a wardrobe, through a portal, in the stars. One of the schools I’m involved with has asked children simply to bring in, or bring in a picture of, their favourite book. A book that makes them want to re-read, to see themselves mirrored in it, or to see how others live. A book that grabs and captivates and excites them. What would I choose? A veritable sparkling feast of children’s literature lies before me. One book? ‘One?’ I cry. 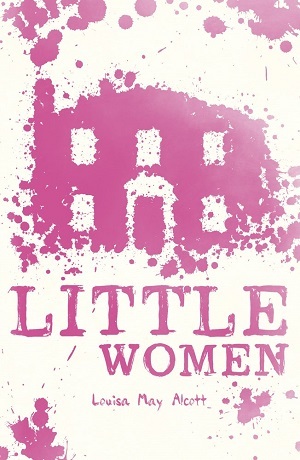 I choose a book that is well written, gripping, but also teeming with beautiful descriptive language, clever realistic dialogue, and engaging characters. It’s a book I can discuss with anyone of any age. It has illustrations, which enhance or extend the narration of the story. It has a character who springs out of the page – I can talk about them years after reading the book, and my family all secretly (and not so secretly) believe that the character resides in a special place within our own house, or down the street, or in the garden. The character might be a house elf, a tiny creature living beneath my floorboards, a shiny man in the fridge, a tiger who pops in for tea, or a daemon who sits on my lap while I watch TV. It contains phrases that seep their way into the family vernacular, whether its being glad about something, or calling cucumbers snozzcumbers, or having a little smackeral of something at elevenses, or just a comical evil laugh. It’s a story we live in, whether its waking to have midnight feasts on a sleepover or seeking hidden doorways in the garden. And a story we’re glad we don’t live in, because we’re foundlings who miss our parents, or refugees suffering the most appalling journeys, but from which we learn about other cultures, and distant pasts. I choose a story that I’ve read to myself, but also to many others. A story that’s not grand, or mystical or spiritual. It doesn’t necessarily teach me political discourse, the whys of warfare or existentialism. But it definitely teaches about fair play and friendship and family. It teaches about doing for others what you would have done for yourself. It teaches how to have spirit and work and to harness resilience and grit. It teaches about how to be the best person you can be, and how to live the best life you can live. It teaches about kindness. Funnily enough, this is something that many other best children’s books do too.